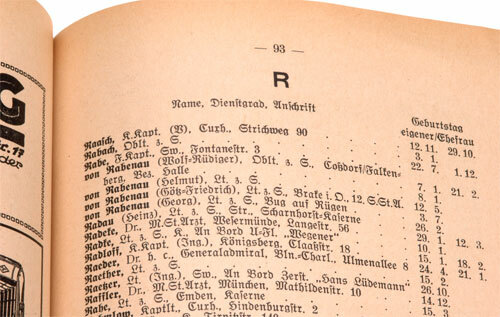 Offiziere Wohnungs und Geburtstagsanzeiger der Kriegsmarine: Lists the address and birthday for each officer (and his wife) who was serving in the German Navy in 1939. The listing has two indexes, one by last name, the other by date. 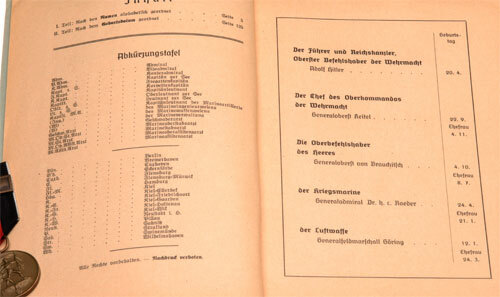 Below you can see the listing for Generaladmiral Raeder and wife. 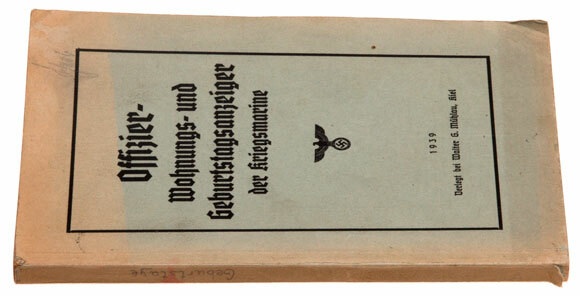 This is a rare reference book, appx 6 x 9 inches, 196 pages, light wear.